XG Sciences is a private company based in Michigan, US, that develops and producer graphene flakes using technology developed at Michigan State University. XG Sciences uses its xGnP (graphene flakes) materials to also develop graphene applications. 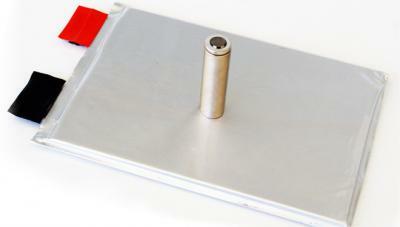 In August 2013, XGS launched a new graphene-based anode material for Li-Ion batteries. In August 2012 the company started production in their new 80 ton facility in Lansing, MI. In 2014 Samsung Ventures placed a strategic investment in XGS as the two companies aim to co-develop graphene-enhanced batteries. In July 2013 we posted an interview with the company's co-founder and CEO. Towards the end of 2018 XGS announced its production capacity has been expanded to 180 tons per year, with plans for further expansion to 400 tons/year. XG Sciences has received a DOE Round 2 small business award for $150,000, which it will use to support its efforts to develop low-cost manufacturing of a silicon-graphene composite anode. According to the company, one goal for the new anode type is to reduce the formation of the solid electrolyte interface (SEI). The SEI layer is a film composed of electrolyte reduction products that start forming on the surface of the anode during the initial battery charge. It functions as an ionic conductor that enables lithium to migrate through the film during charging and discharging – allowing the battery to operate in an efficient and reversible manner. Under typical operating conditions, it also serves as an electronic insulator that prevents further electrolyte reduction on the anode. However, as the silicon in next-generation anodes expands and contracts, it essentially cracks apart that layer and then makes more. Over time it ends up with a very thick resistive film on the anode, which causes it to lose both capacity and power. XG Sciences aims to raise $24 million through an initial public offering to fund operations, as it continues to commercialize composite materials for lithium-ion batteries and other applications. Of the $24 million XGS hopes to raise through an IPO, $11.4 million will go to fund operations for the next two years, “by which time the company might begin generating positive cash flow from operations.” Proceeds from the IPO would also go to working capital, and to increase capacity and its sales and technical service staff. While the company has accumulated operating losses exceeding $43 million during its development stage, the securities filing cites a growing customer list and order volume. XG Sciences projects 2016 revenues of $5 million to $10 million through the sale of graphene and graphene nanoplatelets for electronic and industrial products that use lithium-ion batteries. A number of companies are currently testing XG Sciences’ materials for applications including lithium-ion batteries, supercapacitors, thermal shielding, inks and coatings, printed electronics, construction products, composites and military uses. XG Sciences and Boston-Power have announced a joint development agreement, aimed at customizing XG Sciences’ silicon-graphene anode materials for use in Boston-Power’s lithium-ion battery products. The plan is to optimize electrochemical and microstructural electrode performance, as well as developing electrode and battery manufacturing techniques using the two companies’ proprietary materials. The companies see a real synergy between Boston-Power’s battery engineering and design capabilities and the new XG-SiG anode materials. Boston-Power has the ability to design and manufacture the battery, while XG Sciences has the ability to customize the anode materials to best fit the Boston-Power system.